Clarifying Clay Mask removes dirt and pollution particles with the help of herbal extracts, including Nasturtium and Witch Hazel. 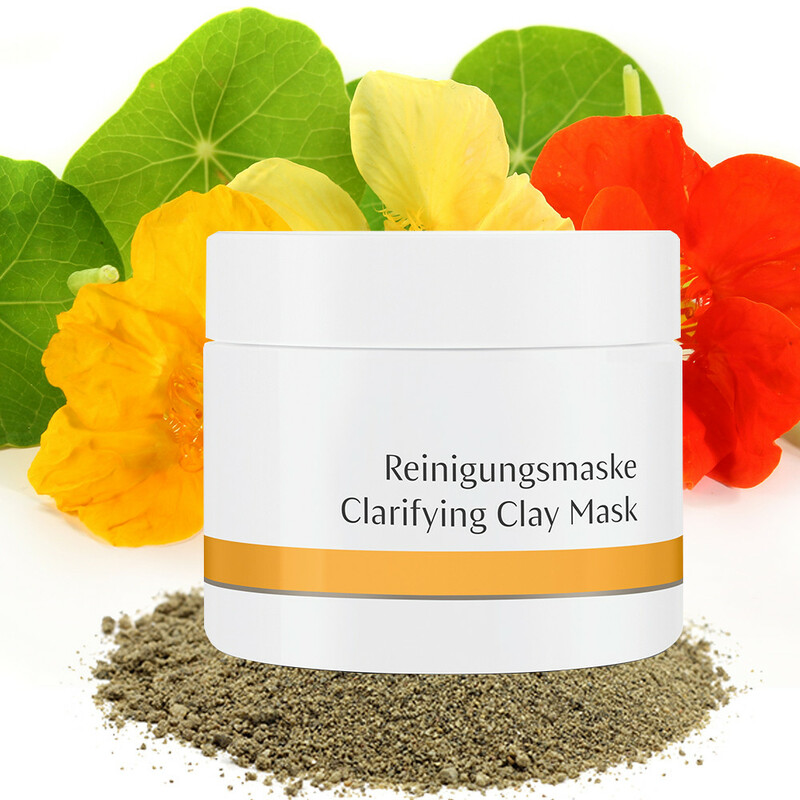 Prepare for your best skin ever with this Clarifying Clay Mask from Dr Hauschka. Oily and blemished skin can appear difficult to treat especially as you don’t want to overload it with products that can make matters worse. This weekly mask is designed to deeply cleanse, removing dirt and pollution particles. Its finely-ground clay opens blocked pores, fully clearing the skin of dirt and blackheads. Your skin will be left more evenly-toned and rejuvenated, and less oily. Great for skin with large pores. Herbal extracts including Nasturtium and Witch Hazel work to naturally sooth and clear. Skin Type: For all skin types, especially blemished skin. Application: Use once or twice each week. Blend approx. 2 heaped teaspoons of Clarifying Clay Mask with an equal amount of water to create a smooth paste. Smooth onto the face, neck and, if necessary, décolleté. Avoid eye area. For normal, blemished and oily skin, remove after approx. 10 minutes with plenty of warm water or a damp cosmetic sponge. For skin which tends to be dry and sensitive, apply Clarifying Clay Mask more thinly and gently remove after 3–5 minutes. Tip: Clarifying Clay Mask is particularly effective if used in combination with Clarifying Steam Bath. You can also use Clarifying Clay Mask two or three times a week if the acne condition is severe. Ingredients: Loess, Tropaeolum Majus Flower/Leaf/Stem Extract, Hamamelis Virginiana (Witch Hazel) Bark/Leaf Extract, Zea Mays (Corn) Starch.